Perimenopause can be a difficult time for women and for the people who love them. That time when your hormones are changing and fluctuating. There are times when you want to smack everyone in the face and there are times that you want to cry about every little thing. You are impatiently waiting for full menopause when you are done with the fluctuating hormones. In the meantime, you are looking for simple and natural survival tips. If you are having serious issues, please consult your healthcare provider. They can help you navigate these rocky waters. Seek medical care if you have unusually heavy bleeding, severe mood swings, or new breast lumps. Also, make an appointment if it interferes with your ability to function properly on a daily basis. Diet is a great place to start when trying natural remedies. It is time to cut back on sugar, alcohol caffeine and spicy food. Calcium is important in the prevention of osteoporosis. To get more calcium without taking a supplement you can eat more broccoli, spinach, kale, sesame seeds, almonds and low fat dairy. To get enough fiber you can eat things such as flaxseed, chia seeds, hemp, whole grain oats, beans and leafy greens. Try to eat as many natural, whole foods as possible and cut back on the processed foods. Exercise is another natural thing that you can do. If you already have a fitness routine or favorite activity, keep on doing it. Exercises such as walking, hiking, biking and swimming are good cardio workouts. Try to get at least thirty minutes of cardio exercise most days of the week. Strength training is also important for your muscles and your bones. Try to get in some strength training at least two or three days a week. The dreaded hot flashes can be a nuisance. The most important thing to remember is do not panic. It may feel like it but you are not on fire. It is a good idea to always have a fan on hand. There are plenty of portable fans you can purchase. Some are even small enough to carry in your purse. Make certain the you have water handy to drink or splash on your face. Ice cold drinks and ice packs can come in handy as well. I purchased a gel eye mask from Amazon for around six dollars. You can put in the refrigerator or freezer. It feels great to put over my eyes or on my forehead. Don’t stress out, breathe and you will get through this. Breathe, relax, and think before you say or do something that you are going to regret. A daily meditation practice may help you stay more relaxed. Yoga, Qigong, and breathing exercises may be beneficial as well. Exercise that gets you moving can help work out some of the rage. Kickboxing is a great way to work off some of that anxious energy. Chamomile or Valerian tea can be soothing. Take time to take care of yourself. Try soothing music, massage therapy, a spa day, walks in nature, hot baths, aromatherapy or a good book. Prayer is not a bad option either. Do things that make you feel better. Much of the same things may help with insomnia. Daily meditation and exercise can be beneficial. Try to have a consistent nightly ritual and bed time. Chamomile tea and a nice relaxing bath can help you relax. Supplementing with Melatonin may help you sleep better. Listen to some soothing music or read a book. If you cannot fall asleep, try doing dome progressive relaxation. Start relaxing your body one part at time working from your toes to the top of your head. A healthy diet and a regular exercise routine can help diminish weight gain and keep your digestive system working properly. Water and fiber are going to be important here. You can try probiotics for the digestion and diuretics for the bloating. Manual therapies such as massage therapy, acupressure, acupuncture, or lymphatic drainage may be beneficial. Again, if you have significant weight changes or digestive issues it is best to contact your healthcare provider. Breast pain is perfectly normal when going through perimenopause but that does not mean you need to suffer. I find that compression works best for me so I like to wear a tight-fitting sports bra. The less the breasts can move around the better. Skip the caffeine. You can try a natural pain reliever like Arnica gel. I tried a natural progesterone cream. Chamomile and Valerian can be helpful as well. There are many other symptoms that can be troublesome. These include muscle tension, joint pain, headaches, memory loss and brain fog. The best thing to do is take care of yourself. Diet and exercise are important. 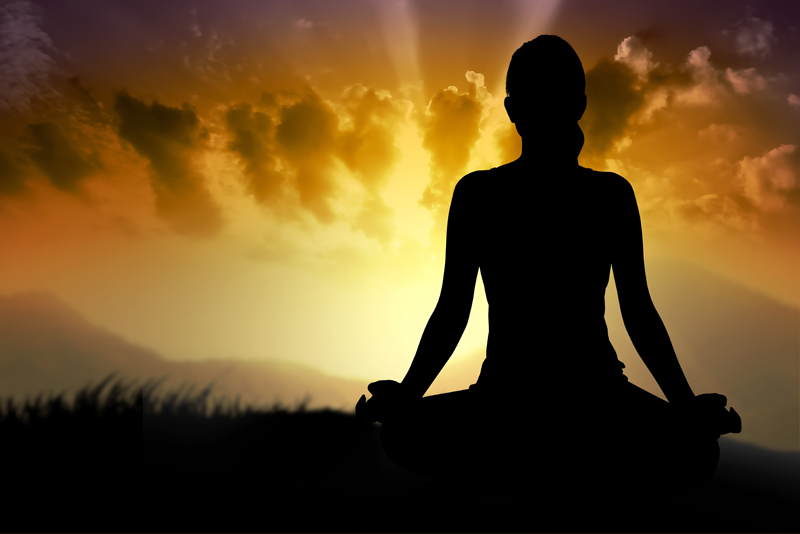 Relaxing activities such as meditation, yoga, qigong, breathing exercises, massage therapy and bodywork can be helpful. Find things that help you manage your symptoms and do not be afraid to discuss it with your healthcare provider.